I was doing research for another post a while back, and found something a bit… unusual. 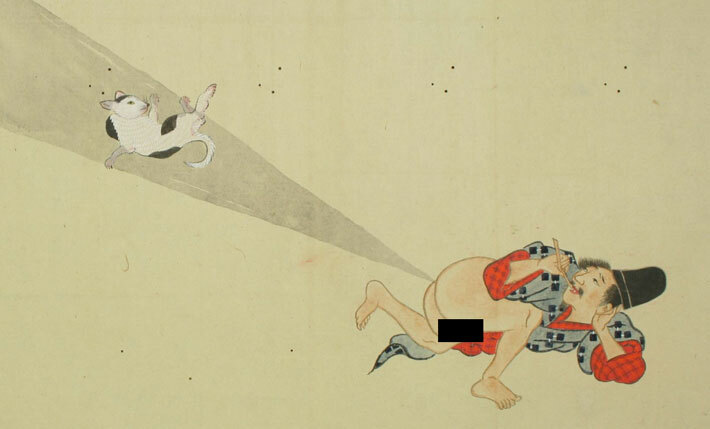 It was an old Japanese scroll about farting. No, you didn't misread that last sentence. The whole scroll, which is called He-Gassen ("The Fart Battle") is just about people farting. Farting at other people, farting at cats, farting off of horses, farting into bags; just farting everywhere. Why? I couldn't really tell you. 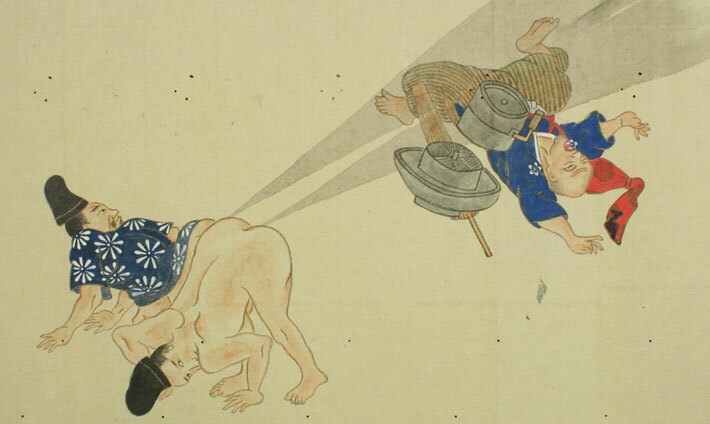 I've tried to do some research but, believe it or not, academic literature on Japanese farting is surprisingly few and far between. I found some relevant articles on my old university's academic databases, but the only way I could obtain them would be to request them printed out and go pick them up. Which, you know, isn't something I really want to do. "Hi, how can we help you?" "I'm here to pick up some articles I put on hold." "Sure, what are they about?" "Well, they're, um, about farting." I did find out enough to know that this isn't the only farting scroll out there in existence – in fact, in the 90s, a collection of fart scrolls sold for $1,500 at the famous Christie's auction house. I am not making this up. 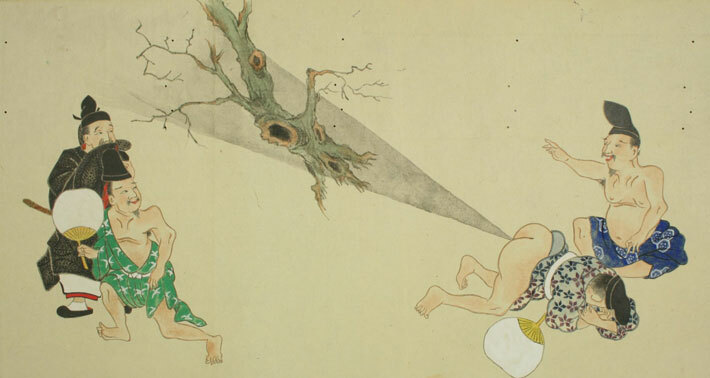 I also found out that the famous uikyo-e artist Utagawa Kuniyoshi also dabbled in fart art, painting a piece depicting dudes farting at each other. Perhaps the greatest piece of this farting scroll is a giant panorama of four dudes farting into a building, and the chaos ensuing within. Click on the picture below for the full-sized version because really, it's not something you wanna miss out on. In the end, I think I tried to read too far into this. I kept expecting to find some deep cultural explanation as to why these guys made whole scrolls about farting. But I think it really just boils down to one universal truth: farts are funny. We can pretend that our senses of humor are more sophisticated than that, but let's face it: when somebody lets one rip, you're going to chuckle. And, as if this wasn't enough, we made a video for this too. Conspiracy? Maybe. Aliens? Definitely.